Internet Special: Get an Artist Of Life DVD 2-pack, both films for just $35.00, with domestic shipping included! (Educators’ rate is $50.00). 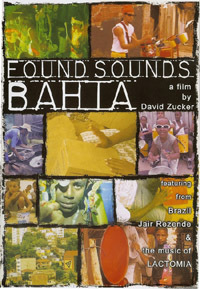 Found Sounds Bahia: Since the beginning of time, music has been a major social influence, affecting tradition and cultures around the world. Music, like most art, has the ability to bring people together to share in a common experience. Historically, in countries where there is a lack of material resources, people have invented a style of playing: rhythm on found objects. Found Sound is about creating exhilarating music out of material that would otherwise be thrown away. One man by the name of Jair Rezende has taken it upon himself to transform not only his community, but also the entire world through his band, LACTOMIA. Kids flock to him, wanting nothing more than to be a part of this movement, exploring the creation of sound through recycled materials. This enlightening film offers never-before-seen footage of how one community comes together through the power of music and creativity. Colors of a Creative Culture: Just as FOUND SOUNDS BAHIA showed how artists have long used the resources of their environment to create music, COLORS OF CREATIVE CULTURE, shows how the visual artists in the city of Salvador, Brazil also take what they have and turn it into a cultural mosaic on the city streets. This “street interference art” brings together the same energy and inspiration of Lactomia’s found object music by bringing paint to the people. Trained artists, teachers, community leaders, children, even the parish priest, join together to create large-scale murals on the walls of their neighborhoods. 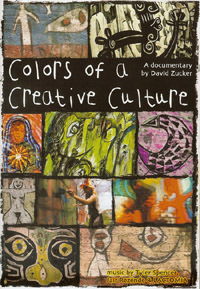 The film offers a rare insight into how bringing art to the streets includes an entire community. Merchant services provided by CCNow, an online retailer that provides credit card processing, shopping cart, fraud prevention, and secure checkout services. CCNow never shares credit card information with suppliers.